Welcome to the rebirth of Stark Drive. We have been working hard to get Stark Drive Mini into the hands of those who need it no matter where they may live. We had thought that Kickstarter was the way to go and launched on there a couple months ago but quickly discovered that malevolence is the name of the game there with people that 'donate' $1 in order to leave disparaging comments and unfounded accusations which as a campaign owner your not able to address and Kickstarter 'Trust and Safety' could care less. Reporting a comment is akin to blowing against the wind with the same effect. With round two of Stark Drive Mini. 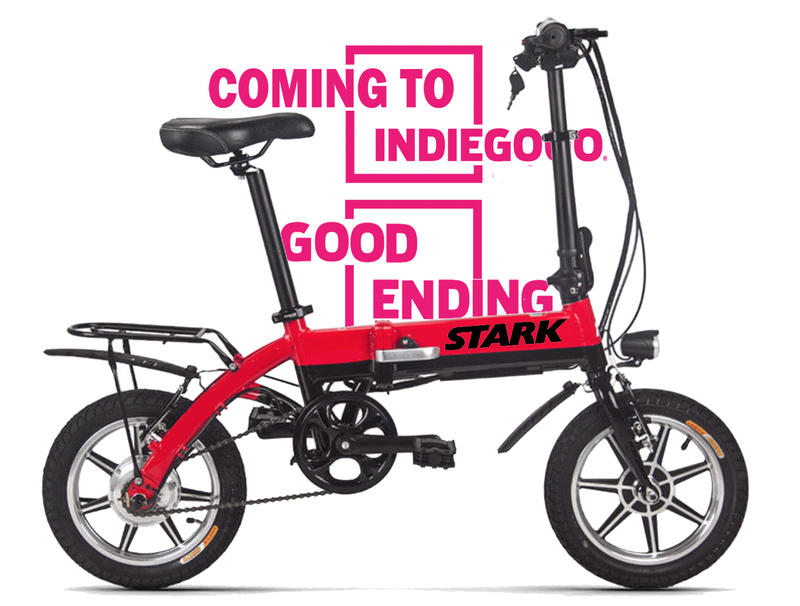 We have always found the IGG platform more well suited to running a campaign with upgrades, options and this is especially helpful with an electric bike like Stark Drive Mini being so configurable. Namely Carbo who has the worlds lightest electric bike at 12.9 pounds (0.1 pounds lighter then the base Stark Drive Mini) has come up with the idea to offer their bike with an airline compliant battery and we were sent a video chat from a fan of Stark Drive asking about the run down and questions about their 'guaranteed refund policy' video taped below. Mid Motor Stark Drive Torque? Those of you whom have been following us on instagram, twitter or facebook have seen photos of our prototype Stark Drive Torque units (fat tire and regular tire variants) which we have been testing. We will be going in depth about the amazing riding experience, range and sheer feeling of power in an upcoming blog posting soon.